Electricity is perhaps the most important part of using technology in the workplace, as without it, the devices that empower your business’ operations just won’t function. In some cases, you might suddenly lose power, leading to data loss and other disaster scenarios that could strike your business down if you’re not prepared for them. With progress grinding to a halt, downtime will ensue, creating a considerable loss for your business. Even if you’re not losing power, an excessive amount of it can create a surge, damaging the infrastructure itself and harming the individual components that make it up. It’s ultimately in your best interest to take measures against these events, as you made an investment that needs a substantial return. Surge protectors can be helpful to prevent excessive power from crippling these important machines, but in some cases, you’ll want a more powerful solution. An uninterruptible power supply, or UPS device, can help your servers, workstations, and other important technology shut down properly in the event of a power outage or surge, giving you the ability to minimize damage done. The Internet is an invaluable tool that can help your business succeed, and the Internet plays a larger role in its functionality than it ever has before. A lack of Internet ultimately becomes downtime for many organizations, as they depend on the Internet for various services and communications. More often than not, there’s nothing you can do about a lack of Internet if it comes from your service provider. 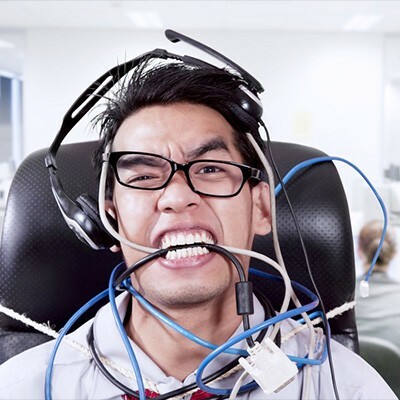 To keep this kind of downtime from sinking operations, many businesses have implemented backup Internet connections, just in case they ever have to use it. This comes with a downside--you’ll have to maintain that connection--but it will likely be worth the investment if you ever need it. Even the best employees are known to make mistakes from time-to-time. While you can trust them for the most part, nobody is perfect, nor should you expect them to be. Some might even try to implement their own solutions with the intention of making their jobs easier and more efficient. This is called shadow IT, and it can be dangerous. You have no way of knowing whether it’s putting your business at risk. You can implement measures to ensure that your employees aren’t downloading unauthorized applications through the use of administrator and user privileges. If you limit what your users can do with their machines, then you have less to worry about. 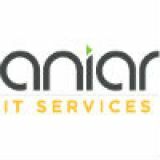 Aniar IT Services can help your business ensure managing IT doesn’t become a hassle. To learn more, reach out to us at 094 90 48200 .